Thanks for inviting me to speak for your company or conference. Below are the room setup and A/V needs for a typical meeting, as well as my speaker bio, speaking introduction and headshots. If you have any questions about any of these items or need something that’s not listed here, contact me via email, text, use the short form on this page, or call 732.422.6362, international enquiries 001 732 422 6362. Alan Berg has been called “The Leading International Speaker and Expert on the Business of Weddings & Events”. He’s presented in 13 countries, 5 of them in Spanish, and is the wedding and event industry’s only Certified Speaking Professional®, and Global Speaking Fellow, one of only 33 in the world! Alan’s 25+ years of industry experience includes publishing 2 wedding magazines, 11 years at The Knot, most as Vice President of Sales and Education, and now, as a consultant and Education Guru for WeddingWire, the leading wedding technology company. He also speaks and consults for websites in Ireland, the U.K., Australia, India and Dubai. 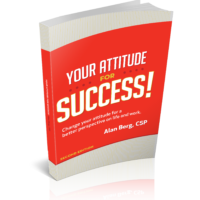 Alan speaks to thousands of entrepreneurs and local business professionals, domestically and internationally, through webinars, live presentations, audio programs and of course his 4 books, which are all available here today. If you have any questions please contact me via email, use the short form on this page, or call or text, 732.422.6362, international enquiries 001 732 422 6362. With more than 25 years in sales, marketing and sales management, Alan Berg has been called “The Leading International Expert on the Business of Weddings & Events”. He’s a Certified Speaking Professional™, the highest earned designation conferred by the National Speakers Association, and one of only 33 Global Speaking Fellows worldwide! Alan is a featured presenter every year at major industry conferences in North America and internationally. He has extensive sales, sales management and marketing experience ranging from publishing two wedding magazines, to Vice President of Sales and Education at The Knot (the nation’s leading multi-platform wedding resource), and now, in addition to public speaking and consulting with venues, caterers, entrepreneurs and local businesses, Alan is also a contributing Education Guru for WeddingWire, the leading wedding technology company (with websites in 15 countries). He also speaks and consults for websites in Ireland, Dubai, India, Australia, the UK, as well as countless venues, hotels, bridal shops, planners, entertainers and more. 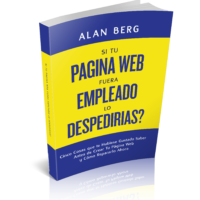 Alan has presented in 13 countries, 5 of them in Spanish, and is the author of the books “If your website was an employee, would you fire it?”, “Your Attitude for Success”, “Shut Up and Sell More Weddings & Events!”, and his newest, and much anticipated book “Why Don’t They Call Me? – 8 Tips for converting wedding & event inquiries into sales.” – all are available in English and Spanish! 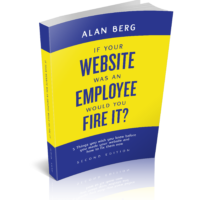 Alan speaks to thousands of entrepreneurs and business professionals every year through webinars, live presentations and on-site sales training. 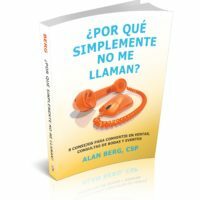 For more information on Alan’s website review and consulting and/or sales training services; to get a copy of his books, or to have Alan speak for your company, group or association visit www.AlanBerg.com, contact Alan@AlanBerg.com, text, or call 732.422.6362, international enquiries 001 732 422 6362. If you have any questions please contact me via email, use the short form on this page, text, or call 732.422.6362, international enquiries 001 732 422 6362. For most presentations I prefer classroom style setup (narrow rectangles) so participants can take notes. If you don’t have classroom tables then banquet rounds are fine as long as they are only set halfway around, so no one has their back to the stage/screen. For large conferences, classroom is preferred for longer presentations, or where attendees will be taking notes. Otherwise, theater style seating is acceptable. For small groups (12 or less), including small mastermind groups, a boardroom setup is fine (one, large table with a large TV or screen and projector at the front). Where possible, I’ll need a table to display my books and CDs. A 6 or 8 foot, draped table is fine. It should be placed in the presentation room in an area of high traffic (near the front of the room, neat the door, near the coffee, etc.). If you have any questions about room set up, please contact me via email, text, use the short form on this page, or call 732.422.6362, international enquiries 001 732 422 6362. Here are some recent headshots and photos you can use to promote your event. If you need something that you don’t see here (format, size, composition) please contact me via email, text, use the short form on this page, or call 732.422.6362, international enquiries 001 732 422 6362. Click on an image you’d like to use and it will open in a new window. You can then right click to save it. Repeat that for any other images. I use a MacBook Pro which has both VGA and HDMI adaptors. For most meetings a standard projector and screen is fine. I have a “clicker” to change my slides, so for most presentations my laptop can be near the projector. Let me know if you intend to use flat screen TVs or wide-screen projection (16:9) so I can adjust my slides accordingly. A large flat screen is fine for small groups, trainings and mastermind meetings. For any group over 20 people a PA system with wireless lavaliere or headset microphone is required. A secondary, wireless handheld microphone, is helpful for announcements and audience participation, especially in larger room setups. I usually don’t have any sound coming from my laptop, but please check with me first as, depending upon the presentation, there may be a video or other sound needs. I usually take an audio recording of my presentations using a small, digital recorder. I’ll bring the necessary cables to connect to the sound board. If you’ll already be making an audio/video recording (with prior written authorization, of course), we can arrange to get me a copy instead. For website presentations where I’ll be reviewing attendee’s websites I’ll need a strong wi-fi connection, and my laptop will need to be onstage, or at the front of the room on a podium or high-top table. If you have any questions about A/V set up details, please contact me via email, text, use the short form on this page, or call 732.422.6362, international enquiries 001 732 422 6362.